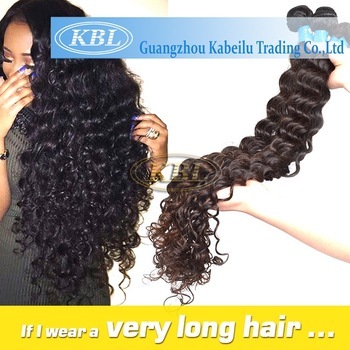 Curly hair has a big hair problem, which occurs in many people's body, mainly with the passage of time, the hair of the stratum corneum of the damage, which may be caused by chemical processing, such as dyeing, straightening, Perm or excessive exposure in the sun. But it also includes excessive shampoo, mechanical stress, such as hair when wet hair or brush your hair, but these are not the most important, it may also be genetic. If your hair is not hurt by the impact of these problems, then you are lucky, you have a smooth, flat cuticle. On the other hand, the curled hair has a raised stratum corneum and is porous, which means that it has minimal elasticity and is therefore prone to breakage and splitting, but it is also very susceptible to high humidity conditions. In other words, when the air has a lot of water is, the hair back to curl. As the curled hair has a jagged cuticle, the uneven surface can not even absorb or reflect the light, so not only the hair looks curly, and it looks very dull.